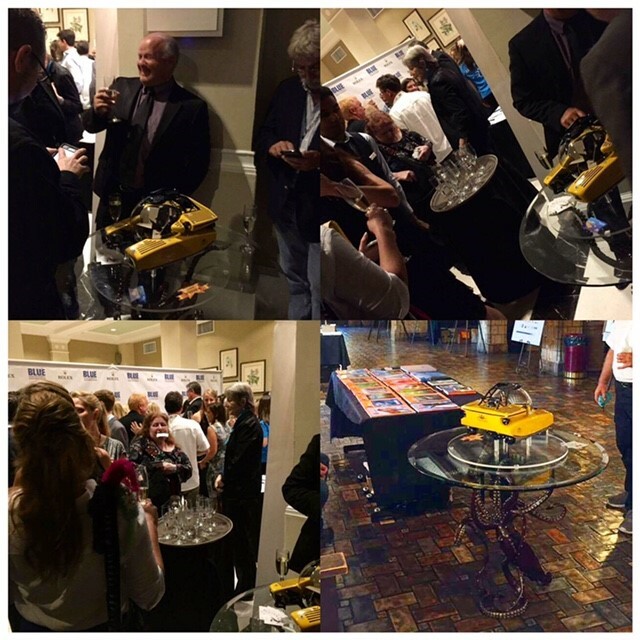 Triton Submarines LLC brought their edition of Kirk's 'Legend' table to yet another amazing event! The Blue Ocean Film Festival & Conservation Summit. As well a Premiere of Leonardo DiCaprio's 'Before The Flood', at the Palladium Theater. Triton, have become one of Kirk's biggest supporters, Kirk considers their work exploring the ocean to be extremely important to learn more about our oceans and the life within them. "I love your sculptures! 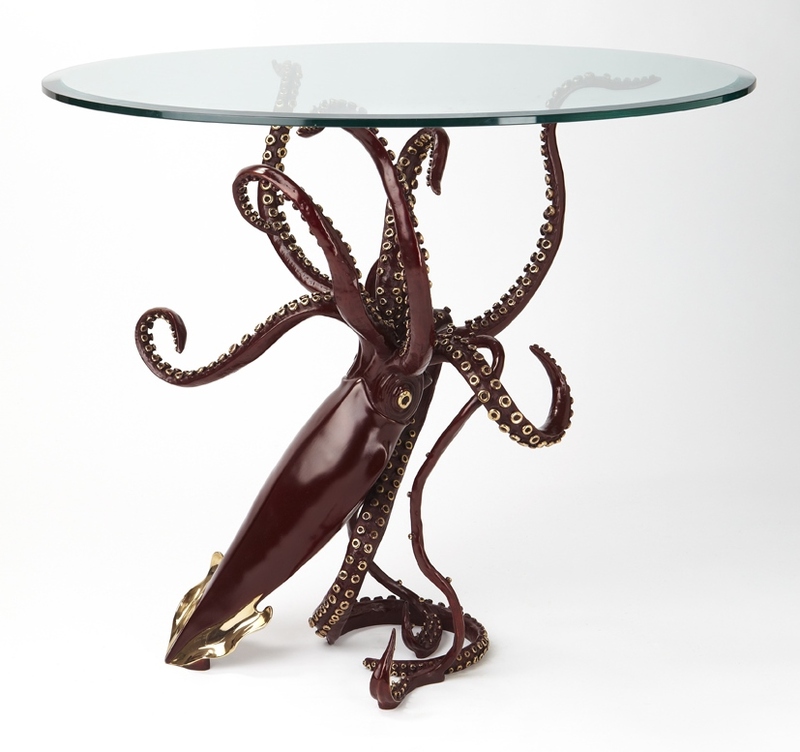 Especially the Giant Squid! I am the pilot who drove the Triton submersible for Dr. Kubodera and Magic Man Sugita on our dive where we filmed the Giant Squid off Chi Chi Jima, Japan. I also had the pleasure to pilot dives on that trip for Dr. Steve O'Shea and Dr. Edie Widder. It was a good trip. 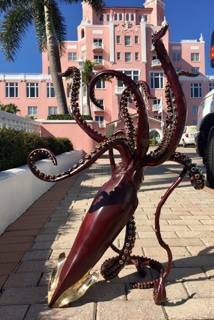 When I saw your sculpture of the Giant Squid I said "that guy has got it!" Now....how am I gonna add one to my G-Squid collection? Keep up the good work." Jim Harris piloted the Triton Submarine that filmed the worlds first Giant Squid alive in the deep sea at 3,000'. Collector - Triton Submarines LLC about this piece. "Triton Submarines is now the proud owner of a "Legend" table by Kirk McGuire Bronze Sculpture. This magnificent sculpture really captures the beauty of one of nature's most elusive creatures." Triton Submarines filmed a giant squid for the first time in our History. Featured on the Discovery Channel Documentary 'Curiosity'. Triton Submarines LLC all rights reserved. Blue Ocean Film Festival & Conservation Summit.